Earth’s total surface area is 510 million square kilometers (197 million square miles); the satellite’s cloud-penetrating radar sees just 1.4 square kilometers at a time. 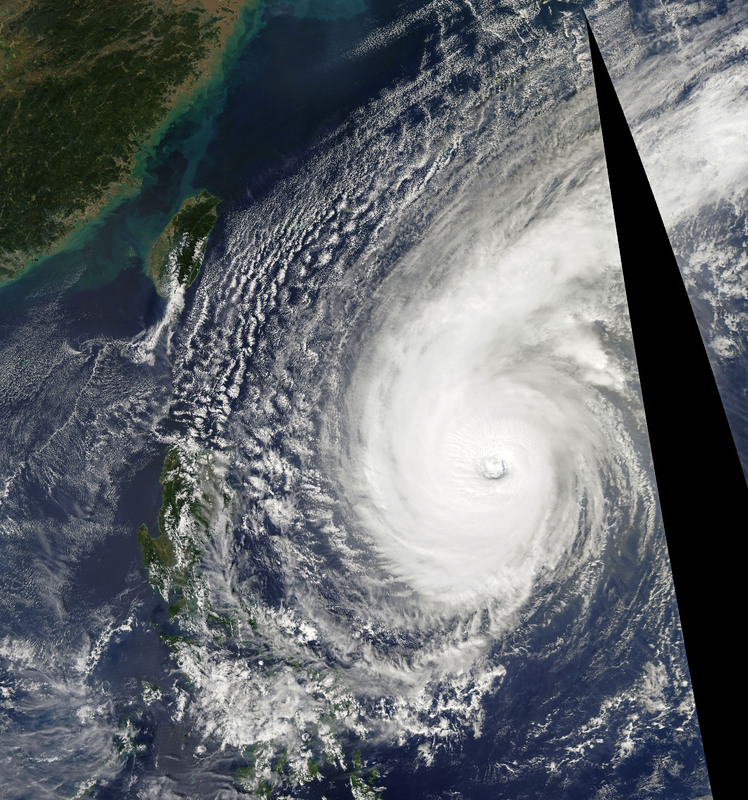 Meanwhile, the eyes of typhoons and hurricanes typically range from 30 to 65�kilometers. 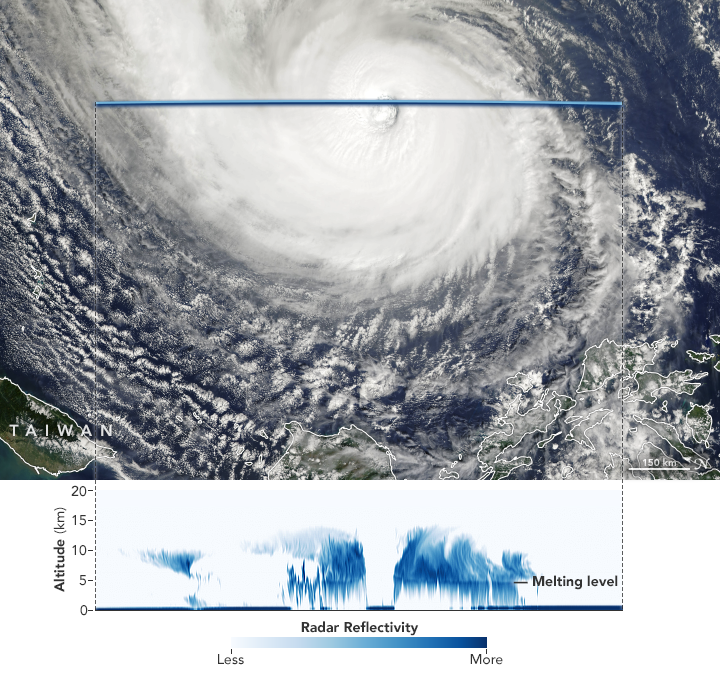 “Cloudsat’s radar revealed�the cirrus-free eye and an outward sloping eyewall, a feature typically found in intense tropical systems,” said Tourville. “The southern portion of the eyewall appears more disorganized, as the thicker cloud tops are starting to disintegrate from the top down.”�Yutu’s clouds rose to about 14 kilometers (9 miles) altitude at their highest point—fairly high for a tropical cyclone.